Sevierville TN Hotels and Motels are plentiful! With so many accommodations to choose from, you're sure to find the lodging your're looking for. From luxury hotels to low cost motels, the city of Sevierville has them all! You're sure to enjoy lots of relaxation in an comfortable environment surrounded by the beautiful Great Smoky Mountains. Sevierville TN Hotels - Lodging at its best!!! Baymont Inn & Suites in Severville, Tn has everything you need for a relaxing stay. It's centrally located near all the fun things to see and do in the Sevierville area. Baymont Inns & Suites also has a convention center onsite. It's the perfect place to plan a special event, or just enjoy a relaxing family vacation! Quality Inns & Suites River Suites is one of "Choice" motel's best places to stay in the Sevierville area. Their beautiful outdoor pool is a popular landmark! This Motel also offers a luxurious indoor pool and a hot tub. The guest rooms are smoke-free and feature all amenities for a comfortable stay. From Luxury Lodging to Budget Hotels/Motels, and "Fun Places to Stay This is the Place to Find Them All! If you're looking for a clean room that's close to everything the city of Sevierville has to offer, you'll enjoy staying at the RiverView Inn Motel. There's a scenic view of the river and a nice indoor/outdoor pool. The room is equipped a refrigerator, TV, microwave oven, and more. Enjoy free Wi-Fi, and while you're here, enjoy a hot breakfast served daily. This motel is an excellent choice for a relaxing stay! 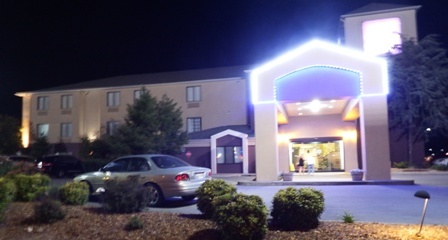 This Sevierville Tn hotel is another great "Choice" hotel! Be surrounded by lots of shopping, attractions, and more. This Econo Lodge offers an outdoor pool with a water slide, Free Wi-Fi, microwave, refrigerator, and satellite TV! You'll enjoy lots of southern hospitality here, however, one of the nicest things about staying at this hotel is its affordable rates! Living in the lap of luxury! That's the feeling you have while staying at the luxurious Clarion Inn Willow River! It's prime location includes being near the Sevierville Golf Club and Convention Center. This hotel has two indoor and two outdoor pools and a Lazy River! The rooms are elegant and come with private balconies, or patios. If you're looking to book the best, this Sevierville Tn hotel is the way to go! It's clean, comfortable, and smoke-free! It's another great place to stay. It's one Sevierville Tn hotel that has everything you need and more! You're sure to sleep comfortably in their cozy pillow top beds. They offer an indoor/outdoor swimming pool, a fitness center, and pets are welcome! Enjoy a nice breakfast each morning! For those important conferences, meeting rooms are available. The Sleep Inn Motel is just the place to become cozy and enjoy a nice stay . Located just a few mile from Pigeon Forge, this motel is in a convenient spot to enjoy all the entertainment this area has to offer. Sleep Inn has a free buffet breakfast, free USA Today newspaper, an outdoor heated pool and more! Super 8 in Sevierville is another of the area's top picks! The rooms are clean and comfortable and offers a continental breakfast. This hotel has nice balconies for enjoying beautiful views and breathing that fresh mountain air. Super 8 Motel has a refreshing outdoor pool. It's the perfect choice for families, and/or couples. 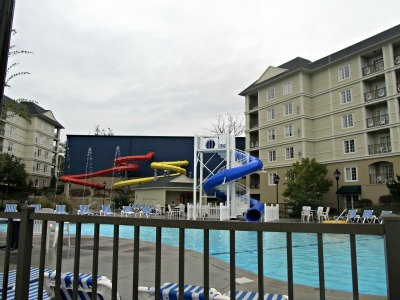 Wyndham Great Smoky Mountains Lodge is one of the most popular places to stay! Families love it because of their huge indoor/outdoor water park. The rooms are immaculate! It's located just below the Convention Center, and the Golf Club is right next door! Staying here is much more than a hotel stay, it's a wonderful experience sitting amidst a cool water park filled with "splashing" fun. A great place to "Crash!" An exciting place to "Splash!" This resort has everything needed for an luxurious stay in the Smokies! 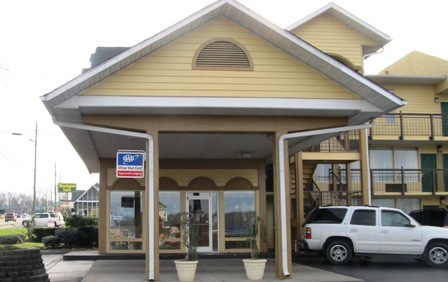 This Sevierville Tn hotel is in a central location surrounded by Five Oaks Shopping Mall, Ripley's Old McDonald Mini Golf, lots of nice restaurants, and amusements. This resort is popular for it's luxurious outdoor water park! But what's even more exciting, is the huge INDOOR water park for year around water fun! These are just a few of the many fine hotels/motels to choose from as you plan your stay in Sevierville. There are plenty in the area to choose from. Whatever accommodations you decide on, you'll be glad you chose a Sevierville hotel!